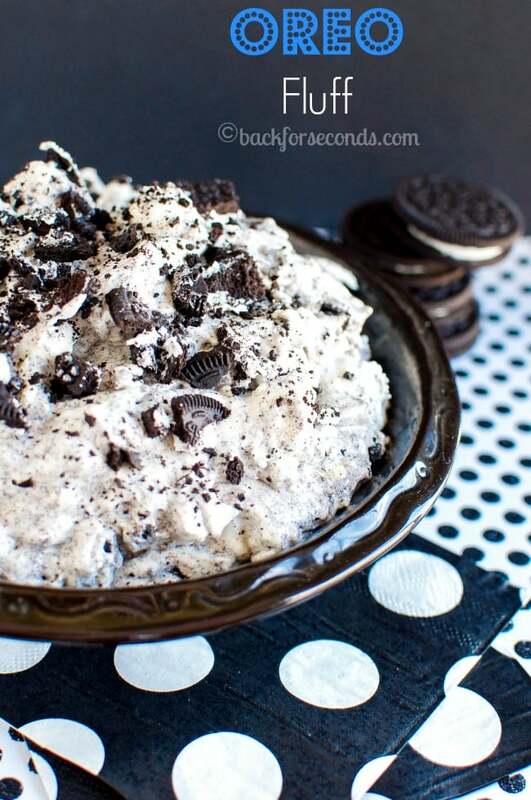 When you are looking for a no-bake dessert, this Easy Oreo Fluff is your answer! 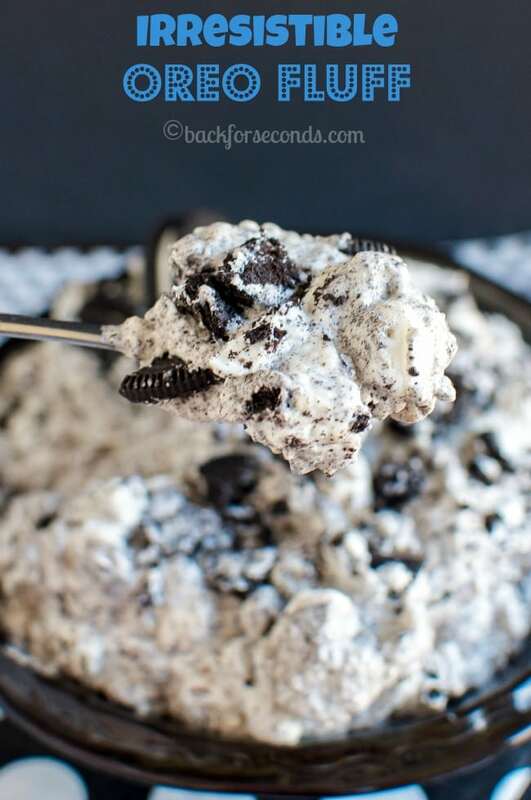 It is ridiculously delicious, takes 10 minutes to make, and is always a hit! I apologize in advance for sharing this recipe with you. It’s one of those desserts that’s so easy to make, and even easier to accidentally eat the entire bowl in one sitting. Go get your stretchy pants on and just give in. Resistance is futile. I remember when I was a kid I would go to the deli with my dad on the weekends. He would get roast beef and turkey and whatever else he wanted for lunch and if I was lucky, I’d get to pick something too. 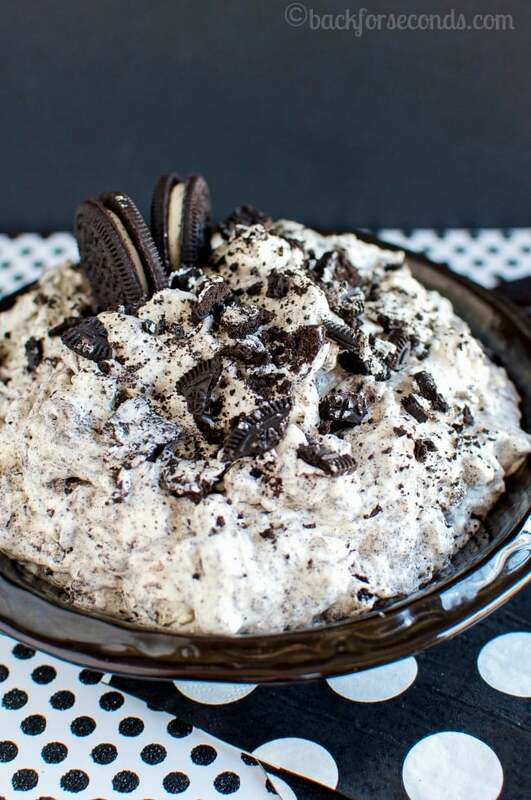 They had an Oreo “salad” that was very similar to this, and it was always my first choice! The only problem was I’d always have to share with my siblings. That part was not my favorite. 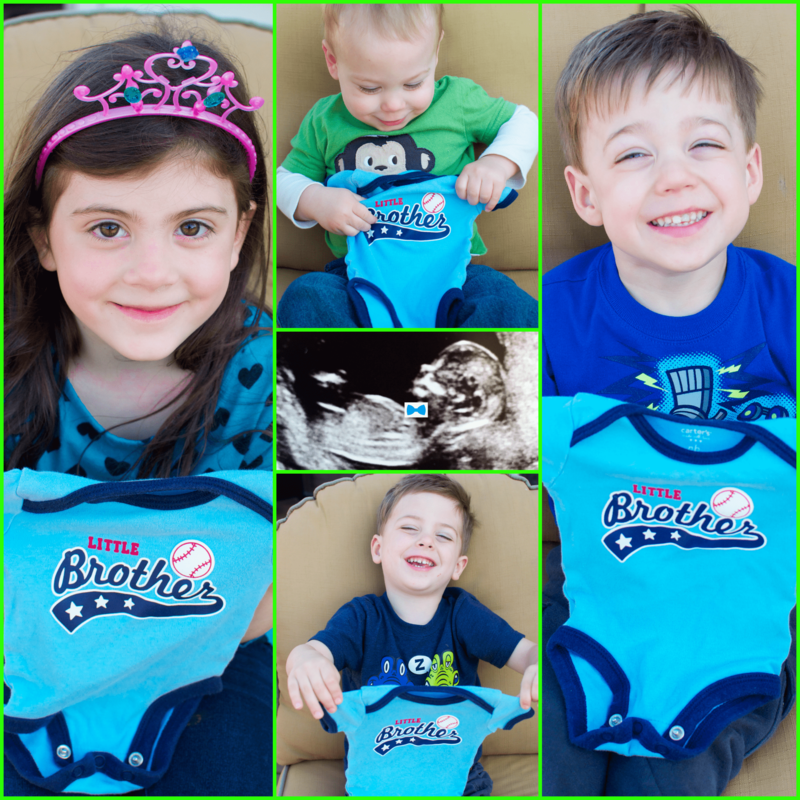 Yep, baby #5 is a BOY! We are all thrilled 🙂 Also, it’s starting to hit me that soon we will have 5 kids 6 and under!!! Woah. This has been such a fun ride and I can’t wait to meet this new little prince. Anyway. 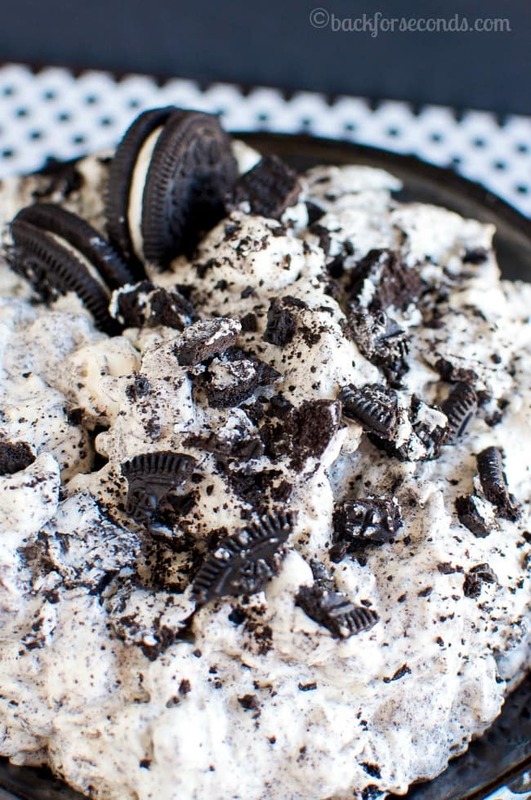 This creamy, fluffy, cookies and cream goodness is dangerously delicious. I don’t care if you’re 5 or 55, it’s nearly impossible to stop after one spoonful. I have not had a sweet tooth at all since being pregnant, but I could not resist this fluff!! It’s just SO GOOD!! Stephanie, it’s really awesome! This will quickly become a favorite in our house!